Academy of Energy Healing (“us”, “we”, or “our”) operates the https://www.energyhealingcertification.com website (the “Service”). Academy of Energy Healing will also retain Usage Data for internal analysis purposes. Usage Data is generally retained for a shorter period of time, except when this data is used to strengthen the security or to improve the functionality of our Service, or we are legally obligated to retain this data for longer time periods. Under certain circumstances, Academy of Energy Healing may be required to disclose your Personal Data if required to do so by law or in response to valid requests by public authorities (e.g. a court or a government agency). If you are a resident of the European Economic Area (EEA), you have certain data protection rights. Academy of Energy Healing aims to take reasonable steps to allow you to correct, amend, delete, or limit the use of your Personal Data. The right to withdraw consent. You also have the right to withdraw your consent at any time where Academy of Energy Healing relied on your consent to process your personal information. For customers paying course fees in full, access to the product/service in the learning portal is instant. After payment customers are automatically redirected to their account in the learning portal. Click ‘Buy Now‘ below to enroll in the Energy Healing Practitioner Course paying two monthly installments of $99. The customer emails ahtayaa@worldofhealing.com to confirm their registration. Upon receipt of payment and registration confirmation the customer is manually added to their purchased course in the online learning portal within 24 hours. Access to the course can be cancelled 30 days from the date the full course fees or first installment was received by Academy Of Energy Healing, provided no assignment has been submitted for assessment. Students can expect a full refund, without stating a reason. The refund is typically issued within 24 hours of the cancellation request (maximum 72 hours) and will paid by the same method as the original payment. No refunds can be given after 30 days of the course payment for any reason. Cancellation/Refund requests can be made by emailing ahtayaa@worldofhealing.com. Academy of Energy Healing provides training in energy healing practices. The training is provided with the intention of fully supporting the healer/practitioner in their process of becoming holistically healthy, and in their ability to help others to heal themselves. Energy healing is a spiritual practice, not a material science, and no claims or results are guaranteed. All information on this site should only be used as a guide. The information contained in this Web site, and services provided is not aimed at diagnosing, treating or preventing any illness. The author and/or practitioner of the Energy Healing Practitioner Course, is not a medical doctor, attorney, psychiatrist, therapist or other licensed health professional. They do not diagnose, cure, heal, or treat disease, or give psychological treatment. Ahtayaa Leigh and Academy of Energy Healing strongly encourages anyone to seek health advice from a variety of professionals, in both licensed medical fields and non-licensed alternative therapies, so that they may follow their own guidance and intuition in deciding what is right for them. The role of the healer/practitioner is to act as a facilitator, helping the client/patient to connect with the healing energy that comes to them directly from Source. Any healing that occurs is the result of the individuals’ own efforts, not that of the practitioner. The practitioner merely acts as a channel, support and guide. 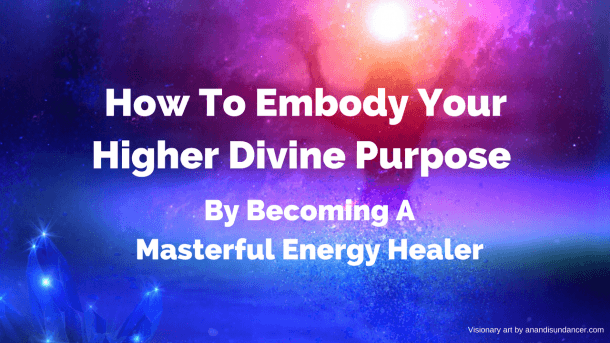 Additionally, Academy of Energy Healing and its authors are not responsible for any damage arising either directly or consequentially out of the use or inability to use the information or services provided correctly.